Ray Kirby joined UTS in March 2017. He previously worked at Brunel University London (BUL), where for the previous 2 1/2 years he was Head of the Divisions of Mechanical and Aerospace Engineering. Ray Kirby did his PhD in acoustics at Hull and Loughborough Universities in the UK. His PhD focussed on the design of automotive exhaust silencers, and he later returned to Hull to work as a research associate on sound propagation in HVAC ducts. On leaving Hull in 1999, he joined BUL as a lecturer and contributed to many Government and industry-sponsored research projects in the field of acoustics. 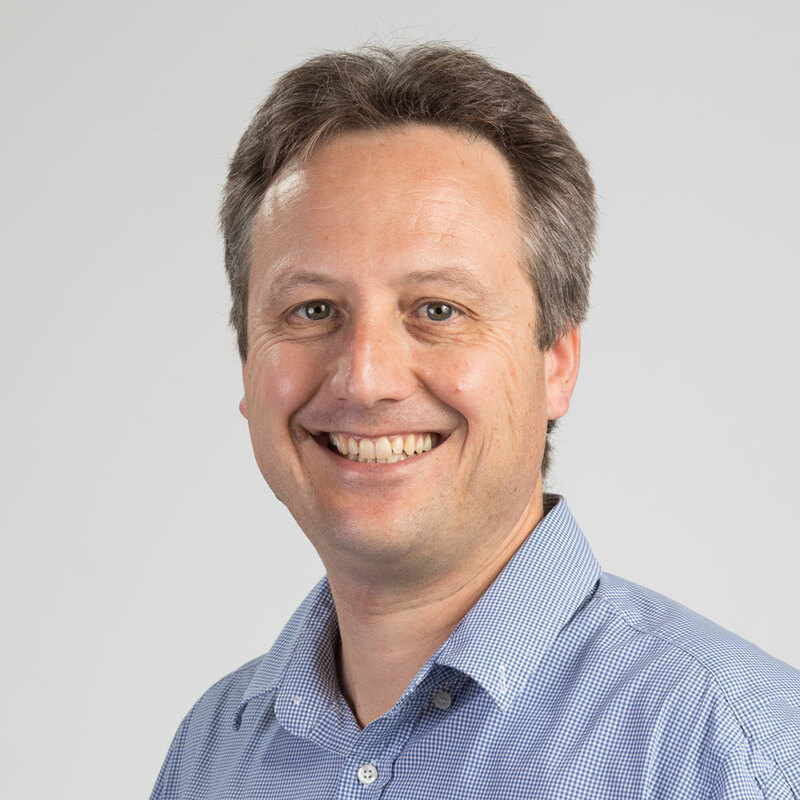 His recent research interests have focussed on the development of efficient computational models for the analysis of guided waves, which have been applied to the propagation of sound in fluids, but also in elastic structures. © 2018 Elsevier Ltd Developing an understanding of guided wave propagation in multi-layered systems has important applications in non-destructive evaluation. This article presents a general weighted residual formulation for guided wave propagation in fluid-filled pipes buried in an elastic solid, or immersed in a quiescent fluid. A one-dimensional semi-analytic finite element (SAFE) approach is combined with a perfectly matched layer (PML), to compute dispersion curves for different pipe applications. The speed and accuracy of this approach are compared against the scaled boundary finite element method (SBFEM) and it is shown that for a rod immersed in a liquid the two methods provide very similar computational speeds. The speed and accuracy of the model is then investigated for immersed and buried fluid-filled pipes, and it is shown that when discretising the PML no advantage in computational speed is found when using either quadratic or higher order spectral elements, provided the number of degrees of freedom in the PML is equivalent. Accordingly, it is shown that the SAFE-PML method is capable of obtaining accurately the modal characteristics of buried and immersed fluid-filled pipes, with computational speeds comparable to the SBFEM approach. © 2017 Elsevier Ltd Noise generated by fans or turbines normally consists of a combination of narrow and broadband noise. To lower transmitted noise levels, it is attractive to use a combination of reactive and dissipative elements. However, this approach presents a number of challenges for larger systems. This is because reactive elements are commonly placed around the duct circumference where they are normally only effective up to the frequency at which the first higher order mode cuts on in the duct. For larger systems, this means that reactive elements work only in the low, and often very low, frequency range, whereas dissipative elements, which are distributed across the duct cross-section, generally work well in the medium to high frequency range. This can cause noise problems in the low to medium frequency range in larger systems. This article presents an alternative approach for delivering noise attenuation over the low to medium frequency range that is suitable for application in larger duct systems. This approach takes advantage of those splitter silencer designs commonly used in larger systems to integrate a reactive element into the splitter design. This delivers a hybrid splitter that uses a combination of dissipative and reactive elements so that the reactive element partitions the main airway. This has the advantage of introducing a quasi-planar transverse sound pressure field for each resonator in the low to medium frequency range, including frequencies above the first cut-on. It is demonstrated using predictions and measurements taken for a number of example silencers, that this approach enables reactive elements to work over an extended low to medium frequency range, including at frequencies above the first cut-on mode in the main duct. Accordingly, it is shown that a hybrid dissipative-reactive splitter design is capable of delivering improved levels of attenuation in the crucial low to medium frequency range. This article develops a numerical model suitable for analysing elastic wave scattering in buried pipelines. The model is based on a previous so-called hybrid approach, where a nominally infinite length of pipe is split up into uniform and non-uniform regions. The key challenge for buried structures is in enforcing the appropriate boundary conditions in both the axial and radial directions, which must encompass the entire length of the structure, as well as the surrounding material. Accordingly, the focus of this article is on developing a model suitable for accurately applying these boundary conditions, and so the analysis is restricted here to the study of axisymmetric defects and to an incident sound field that consists of the fundamental torsional mode only. It is shown that this problem may be addressed in a numerically efficient way provided one carefully choses a perfectly matched layer for the surrounding material, and then integrates over this layer using a complex co-ordinate stretching function. This enables the use of mode matching to deliver a convergent system of equations that enforce the appropriate axial and radial boundary conditions. © 2015 Elsevier B.V. Abstract This work presents a mathematical approach based on the point collocation technique to compute the transmission loss of perforated dissipative silencers with transversal temperature gradients and mean flow. Three-dimensional wave propagation is considered in silencer geometries with arbitrary, but axially uniform, cross section. To reduce the computational requirements of a full multidimensional finite element calculation, a method is developed combining axial and transversal solutions of the wave equation. First, the finite element method is employed in a two-dimensional problem to extract the eigenvalues and associated eigenvectors for the silencer cross section. Mean flow as well as transversal temperature gradients and the corresponding thermal-induced material heterogeneities are included in the model. In addition, an axially uniform temperature field is taken into account, its value being the inlet/outlet average. A point collocation technique is then used to match the acoustic fields (pressure and axial acoustic velocity) at the geometric discontinuities between the silencer chamber and the inlet and outlet pipes. Transmission loss predictions are compared favorably with a general three-dimensional finite element approach, offering a reduction in the computational effort. It is well known that the formulae developed by Delany and Bazley for characterising the acoustic properties of porous materials should not be extended to low frequencies. Accordingly, a low frequency correction is required when finding the surface impedance or absorption coefficient of a porous material. This article reviews corrections of a type originally proposed by Miki [J. Acoust. Soc. Japan, 1990;11:19-24] and concludes that there is no physical basis behind these methods and that they should not be used. Instead, a number of alternative methods are available that maintain the correct limiting behaviour for the fundamental properties of a porous material at low frequencies, and two of these methods are briefly reviewed here. © 2014 Elsevier Ltd. All rights reserved. Viscoelastic coatings are widely used to protect pipelines from their surrounding environment. These coatings are known to attenuate ultrasonic waves guided along the pipe walls, which may limit the range of a pulse/echo based inspection technique that seeks to detect defects in a pipeline. This article aims to investigate the attenuation of longitudinal modes in a coated pipe by comparing predicted and measured values for the reflection coefficient of an axisymmetric defect in a pipe coated with bitumen. This extends recent work undertaken by the authors for torsional modes, and also provides an independent investigation into the validity of those values proposed by the authors for the shear properties of bitumen, based on a comparison between prediction and experiment for torsional modes. Predictions are generated using a numerical mode matching approach for axially uniform defects, and a hybrid finite element based method for non-uniform defects. Values for the shear and longitudinal properties of bitumen are investigated and it is shown that the shear properties of the viscoelastic material play a dominant role in the propagation of longitudinal modes in a coated pipeline. Moreover, by using the shear values obtained from experiments on torsional modes, it is shown that good agreement between prediction and measurement for uniform and non-uniform defects may also be obtained for the longitudinal L(0,2) mode. This provides further validation for the shear bulk acoustic properties proposed for bitumen in the low ultrasonic frequency range, although in order to apply this methodology in general it is demonstrated that one must measure independently the reflection coefficient of both the torsional T(0,1) and the longitudinal L(0,2) mode before arriving at values for the shear properties of a viscoelastic material. © 2013 Elsevier Ltd.
Hill, J, Kirby, R & Williams, P 2013, 'Improving the design of dissipative silencers used in HVAC and gas turbine applications', Acoustics Bulletin, vol. 38, no. 4, pp. 43-46. James Hill, AAF, Ray Kirby and Paul Williams from School of Engineering and Design, Brunel University, discuss how efforts are being made to improve the design of dissipative silencers used in HVAC and gas turbine applications. Two Knowledge Transfer Partnership (KTP) projects have been undertaken jointly by Brunel University and Caice Acoustic Air Movement Ltd., and Brunel University and AAF Ltd., to assess the suitability of these traditional design methods in a modern engineering environment. AAF and Caice have commissioned test rigs in accordance with ISO 7235 to achieve these objectives. AAF has utilized a reverberation room as the termination condition and measurement location whereas Caice has used an in-duct measurement with anechoic termination. is a significant undertaking to design and construct a test rig conforming to ISO 7235, with many tests needing to be performed and a large amount of work tweaking the design to meet the criteria set out in ISO 7235. The provision of good IAQ in schools is important both for the health of students and in maximising educational achievement. It is, however, common for school classrooms to be significantly under-ventilated and this can lead to high levels of CO 2 and other pollutants. Natural ventilation offers the potential to improve IAQ within schools whilst, at the same time reducing running and maintenance costs. Accordingly, this article examines a natural ventilation strategy based on the use of a roof mounted split-duct Windcatcher ventilator. Here, 16 U.K. classrooms are studied and CO 2 , temperature, relative humidity and ventilation rates are measured for the summer and winter seasons. Results show that, during the summer months, the ventilator is capable of significantly improving ventilation rates as well as reducing CO 2 levels, especially when used in combination with open windows. However, in the winter months, the ventilator is seen not to open for a sufficient length of time and so CO 2 levels rise above those required in the standards. Thus, the ventilator is shown to have the potential to improve IAQ within school classrooms, but the operation of the ventilator should be carefully controlled in order to realise these benefits. It is common for ventilation rates in school classrooms to fall below the levels required by relevant standards. The data presented here demonstrates that by using a top-down natural ventilation Windcatcher as part of a well designed natural ventilation strategy, ventilation rates in school classrooms can be significantly improved. Windcatchers are roof mounted devices that use the action of the wind to provide top down natural ventilation to a room. Here, fresh air is channelled into a room while, at the same time, stale air is drawn out. This provides a simple but attractive natural ventilation methodology that is increasing in popularity in U.K. schools. However, an analysis of system performance has largely been limited to laboratory based measurements and the use of CFD to generate predictions. Moreover, analysis is normally restricted to the operation of an autonomous Windcatcher whereas, in reality, it is likely to operate in a building in which other sources of ventilation are present (an open window for example) which can significantly alter the performance. The aim of this paper is to provide a tool for estimating the performance of a Windcatcher from basic data that is typically available to the engineer in the building design phase. Accordingly, the methodology uses data that one could reasonably be expected to have for a building's ventilation performance. This paper also reviews in situ performance based on measurements in U.K. schools both with and without open windows. Predictions generated by a semi-empirical model are then compared against measurement data and this is shown to deliver generally good agreement between the two, both with and without open windows, provided the theoretical predictions are presented in terms of an upper and lower performance limit. Furthermore, both experiment and theory clearly demonstrate that a large increase in the ventilation rate is possible if one combines the operation of a Windcatcher with, say, an open window, and that this ventilation rate is greater than that which would be achievable from a window operating on its own. Estimating the performance of a natural ventilation system is very important if one is to correctly size the system for a particular application. Estimating the performance of a Windcatcher™ is complicated by the complex flow patterns that occur during the top-down ventilation process. Methods for predicting Windcatcher™ performance can currently be separated into simplistic analytic methods such as the envelope flow model and the use of complex and time consuming numerical methods such as CFD. This article presents an alternative semi-empirical approach in which a detailed analytic model makes use of experimental data published in the literature for 500 mm square Windcatchers™, in order to provide a fast but accurate estimate of Windcatcher™ performance. Included in the model are buoyancy effects, the effect of changes in wind speed and direction, as well as the treatment of sealed and unsealed rooms. The semi-empirical predictions obtained are shown to compare well with measured data and CFD predictions, and air buoyancy is shown only to be significant at relatively low flow velocities. In addition, a very simple algorithm is proposed for quantifying the air flow rates from a room induced by a Windcatcher™ in the absence of buoyancy effects. © 2009 Elsevier Ltd. All rights reserved. Identifying an appropriate method for modelling automotive dissipative silencers normally requires one to choose between analytic and numerical methods. It is common in the literature to justify the choice of an analytic method based on the assumption that equivalent numerical techniques are more computationally expensive. The validity of this assumption is investigated here, and the relative speed and accuracy of two analytic methods are compared to two numerical methods for a uniform dissipative silencer that contains a bulk reacting porous material separated from a mean gas flow by a perforated pipe. The numerical methods are developed here with a view to speeding up transmission loss computation, and are based on a mode matching scheme and a hybrid finite element method. The results presented demonstrate excellent agreement between the analytic and numerical models provided a sufficient number of propagating acoustic modes are retained. However, the numerical mode matching method is shown to be the fastest method, significantly outperforming an equivalent analytic technique. Moreover, the hybrid finite element method is demonstrated to be as fast as the analytic technique. Accordingly, both numerical techniques deliver fast and accurate predictions and are capable of outperforming equivalent analytic methods for automotive dissipative silencers. © 2009 Elsevier Ltd. All rights reserved. Mathematically modelling sound propagation in splitter silencers has the potential to provide a fast and effective method for optimising silencer design, and for alleviating the need to undertake repetitive and expensive experimental measurements. Moreover, understanding the physics behind sound attenuation in silencers will ultimately help to improve in situ silencer performance and to avoid current problems whereby commissioned silencers do not provide the attenuation expected from laboratory measurements. Accordingly, a mathematical model is discussed here that is capable of predicting silencer insertion loss and predictions are compared with experimental measurements. Results demonstrate the potential of this model for predicting silencer performance under laboratory conditions, but also Illustrate that multi-modal sound fields significantly affect silencer performance so that laboratory tests are unlikely to represent accurately in situ silencer performance. This article presents an analytic mode-matching approach suitable for modelling the propagation of sound in a two-dimensional, three-part, ducting system. The approach avoids the need to find roots of the characteristic equation for the middle section of the duct (the component) and is readily applicable to a broad class of problems. It is demonstrated that the system of equations, derived via analytic mode-matching, exhibits certain features which ensure that they can be recast into a form that is independent of the roots of the characteristic equation for the component. The precise details of the component are irrelevant to the procedure; it is required only that there exists an orthogonality relation, or similar, for the eigenmodes corresponding to the propagating wave forms in this region. The method is applied here to a simple problem involving acoustic transmission through a dissipative silencer of the type commonly found in heating ventilation and air-conditioning ducts. With reference to this example, the silencer transmission loss is computed, and the power balance for the silencer is investigated and is shown to be an identity that is necessarily satisfied by the system of equations, regardless of the level of truncation. A numerical matching technique known as point collocation is used to model mathematically large dissipative splitter silencers of a type commonly found in HVAC ducts. Transmission loss predictions obtained using point collocation are compared with exact analytic mode matching predictions in the absence of mean flow. Over the frequency range in which analytic mode matching predictions are available, excellent agreement with point collocation transmission loss predictions is observed for a range of large splitter silencers. The validity of using point collocation to tackle large dissipative silencers is established, as is the computational efficiency of the method and its suitability for tackling dissipative silencers of arbitrary, but axially uniform, cross-sections. © 2004 Elsevier Ltd. All rights reserved. A numerical model based on the finite element method is developed for a finite length, HVAC splitter silencer. The model includes an arbitrary number of bulk-reacting splitters separated from the airway by a thin perforated metal sheet and accommodates higher-order modes in the incident sound field. Each perforated sheet is joined to rigid, impervious, metallic fairing situated at either end of a splitter. The transmission loss for the silencer is quantified by application of the point collocation technique, and predictions are compared to experimental measurements reported in the literature. The splitter fairing is shown to significantly affect silencer performance, especially when higher-order incident modes are present. It is concluded that laboratory measurements, and theoretical predictions, that are based on a predominantly plane wave sound source are unlikely to reflect accurately the true performance of an HVAC silencer in a real ducting system. © 2005 Acoustical Society of America. A closed-form analytical solution for the transmission loss of a dissipative silencer with a circular cross-section is described. The silencer contains a bulk reacting acoustic absorbent which is separated from a mean gas flow by a perforated screen. Theoretical predictions of the silencer transmission loss for three different dissipative silencers are compared both with experimental data and with another more complex modelling technique. Good agreement is noted between the analytical theory and experimental data in the low-to-medium frequency range. Below a defined upper frequency limit the analytical technique is also shown to provide good agreement with the finite element method. In addition it is observed that, even for relatively high open area porosities, the perforate screen has a significant effect on dissipative silencer performance. A semi-implicit Taylor-Galerkin/pressure-correction finite element scheme (STGFEM) is developed for problems that manifest free surfaces associated with the incompressible creeping flow of Newtonian fluids. Such problems include stick-slip and die-swell flows, both with and without a superimposed drag flow, and for plane, axisymmetric and annular systems. The numerical solutions are compared with available analytical and numerical solutions, both in the neighbourhood of singularities and elsewhere. Close correspondence in accuracy is extracted from the literature for both stick-slip and die-swell flows. Stick-slip flow is used as a precursor study to the more complex free surface calculations involved for die-swell in extrudate flow. Two different free surface techniques are reported and results are analysed with mesh refinement and varying structure. Copyright (C) 2000 John Wiley and Sons, Ltd.
A predictive model for sound propagation in tubes with permeable walls is presented. In this, acoustic coupling between the internal and external sound fields is taken into account by the use of an iterative procedure that involves finite-length "cells" of uniform properties in the tube and an appropriate external radiation model. The propagation model is verified by comparison to experimental data on a perforated metal tube and is applied to a practical type of permeable fabric tube. Good agreement between prediction and experiment is noted in the former case with predicted wall impedance values, and in the second case with "best fit" empirically derived wall impedance figures. © 1999 Academic Press. © INTER-NOISE 2018 - 47th International Congress and Exposition on Noise Control Engineering: Impact of Noise Control Engineering. All rights reserved. It is common for large internal combustion engines to generate high levels of noise in harmonic tones below 100 Hz. The attenuation of low frequency tonal noise is challenging because if one wishes to rely on passive techniques then it is normally necessary to use large reactive chambers, as dissipative elements are ineffective at such low frequencies. However, it is common for the physical space available for the silencer to be limited and so one is often faced with the challenge of delivering high levels of sound attenuation in a relatively confined space. This paper reviews some different approaches to addressing this design challenge, and examines the trade-off between levels of attenuation and the frequency bandwidth over which the silencers are effective. This investigation includes the analysis of different reactive straight-through muffler configurations having elliptical and circular cross-section, and the use of airways that are offset from the geometrical center of the chamber. Predictions are generated using an optimized two-dimensional finite element (FE) and mode-matching approach, and it is shown that through careful design considerations, one can achieve relatively high levels of attenuation in the low-frequency range. Williams, PT, Hill, J, Thomson, J & Kirby, R 2018, 'The impact of design details on large silencer performance', INTER-NOISE 2018 - 47th International Congress and Exposition on Noise Control Engineering: Impact of Noise Control Engineering. © INTER-NOISE 2018 - 47th International Congress and Exposition on Noise Control Engineering: Impact of Noise Control Engineering. All rights reserved. Large silencers are commonly used in harsh environments where the design must consider high flow-rates, temperatures and stresses. This can impact on the construction of both the silencer baffle and the required support structure. Changes to the silencer design may include gaps between elements to allow for thermal expansion, support structures that can obstruct the air-path and extra protection for the porous insulation. Typical prediction models do not account for such factors and their effect on the overall performance of the silencer is not commonly known. In this paper numerical models using the finite element method are used to compare the effect of such details on the silencer insertion loss. The results of these predictions are compared to measured data and used to provide understanding as to the magnitude of the uncertainty typical design details may introduce. The non-destructive testing of pipelines encounters many different environmental conditions, which includes pipelines that are buried in materials such as soil, sand and even concrete. In addition, these pipelines may carry gases or liquids, such as oil or water. The location of cracks or areas of corrosion in pipelines often encounters varied environmental conditions and this requires knowledge of the influence these conditions have on the propagation of elastic waves travelling down the pipe wall. This includes knowledge of modal group velocity, which is used to estimate the time-of-flight of a pulse scattered by a defect, as well as the reduction in inspection range caused by the attenuation of energy in the pulse. Accordingly, it is desirable to develop theoretical models to help in understanding the influence of different environmental conditions, and so in this article the semi-analytic finite element (SAFE) method is used to obtain the dispersion curves for buried liquid filled pipes. It is shown that through a Galerkin based formulation a governing eigenequation may be formulated in a way that delivers a fast and efficient solution. Crucially, this involves the utilization of a semiorthogonality relation so that modes can be sorted quickly and easily in order to focus on those modes relevant in commercial non-destructive testing. Williams, PT, Kirby, R, Hill, J & Åbom, M 2017, 'Circular duct hybrid bar silencer insertion loss measurement with comparison to prediction', INTER-NOISE 2017 - 46th International Congress and Exposition on Noise Control Engineering: Taming Noise and Moving Quiet. © 2017 Institute of Noise Control Engineering. All rights reserved. Noise within the exhaust of gas turbine systems is commonly reduced using dissipative silencers. These types of silencers provide a high performance across the mid-frequency range but do little to reduce noise at the low frequencies. Reactive solutions are more effective at targeting low frequency noise, however these silencers must be designed without compromising restrictive pressure drop limitations while remaining operational in large diameter ducts and at high temperatures. A hybrid dissipative-reactive silencer is investigated here allowing for both the broadband and tonal low frequency noise to be reduced. The dissipative elements are regular, perforated baffles containing absorbent material and the reactive elements make use of quarter wave resonators. The hybrid design is applied to a circular duct bar silencer cross-section where the addition of the reactive component will have minimal effect on pressure drop. Insertion loss measurements are presented for a dissipative and hybrid silencer and it is found that the reactive elements increase insertion loss at the targeted frequency and at regular frequencies above this. Such increases in performance are found to persist outside of the duct's plane wave region. A two dimensional finite element model is also used to predict silencer transmission loss and this shows good agreement when compared to experimental data. This model may then be used to develop new bespoke hybrid silencer designs for demanding noise control applications. © 2017 Institute of Noise Control Engineering. All rights reserved. It is common for axial fans to be located in ducts of finite length and understanding the way in which sound radiates from this type of system is important in controlling noise emissions. However, this type of problem presents a significant computational challenge, especially if one is interested in understanding behaviour at higher frequencies where multiple modes propagate in the duct. This article presents a numerical approach for tackling this problem that is suitable for calculating the radiated sound field from a finite length duct using a series of point dipole sources to represent an axial fan located inside the duct. It is demonstrated that through the use of an efficient numerical approach it is possible to obtain predictions at frequencies that are high enough to reveal well know characteristics of finite length duct radiation, such as organ pipe modes. The radiation of sound from the open end of pipes and ducts is a common problem in environmental noise control. Examples include radiation from ductwork in heating, ventilation and air-conditioning systems, noise emissions from exhaust stacks in industrial power plants, as well as radiation from turbofan engines. These open duct terminations represent a relatively simple mechanical structure; however, the acoustics is significantly more complicated and this is especially true when a mean gas flow is present. This article presents an efficient numerical model suitable for analysing sound radiation from an unflanged duct termination, and introduces a method for including a uniform mean fluid flow in the exterior region away from the termination. An example of sound radiation from a turbofan engine is then investigated. It is common to use guided sound waves to detect leaks or cracks in pipelines. Applications include the nondestructive testing of oil and gas pipelines, which normally takes places at ultrasonic frequencies, as well as the detection of leaks and ruptures in water filled pipes at much lower audio frequencies. However, if the pipe is buried then sound leaks out of the pipe into the surrounding medium and this lowers the acoustic energy travelling along the pipe wall. This has the potential to limit the applications of this technology, and so it is necessary to develop knowledge of the acoustic properties of the guided waves in order to optimise detection techniques. Accordingly, this work examines the properties of sound waves propagating in an infinitely long fluid-filled buried pipe, with application to leak detection at low audio frequencies. A parametric study is undertaken to examine the sensitivity of sound propagation to the properties of the internal liquid, pipe walls and of the surrounding medium. © 2017 Acoustical Society of America. A hybrid reactive-dissipative splitter silencer offers the potential to attenuate turbomachinery noise over a wide frequency range, including the problematic low to medium frequencies. This article uses a theoretical model to investigate the performance of a hybrid parallel baffle silencer for different complex incident sound fields. This includes an incident sound field with equal modal energy density, as well as the excitation of individual higher order modes. It is shown that provided horizontal and vertical partitions are used in the reactive element, the sound attenuation performance of the reactive chamber under complex incident sound fields is equivalent to that obtained using plane wave excitation over the frequency range of interest. Furthermore, it is demonstrated that the reactive elements work at frequencies above the first cut-on mode in the inlet duct, and so they are capable of extending sound attenuation into the low to medium frequency range. This delivers an efficient hybrid silencer design that is suitable for use in power generation applications, such as gas turbine exhaust systems. This work presents a mathematical approach based on the mode matching method to compute the transmission loss of perforated dissipative silencers with temperature gradients and mean flow. Three-dimensional wave propagation is considered in silencer geometries with arbitrary, but axially uniform, cross section. To reduce the computational requirements of a full multidimensional finite element calculation, a method is developed combining axial and transversal solutions of the wave equation. First, the finite element method is employed in a twodimensional problem to extract the eigenvalues and associated eigenvectors for the silencer cross section. Mean flow as well as radial temperature gradients and the corresponding thermal-induced material heterogeneities are included in the model. Assuming a low acoustic influence of axial gradients (compared to radial variations), an axially uniform temperature field is taken into account, its value being the inlet/outlet average. A weighted residual approach is then used to match the acoustic fields (pressure and axial acoustic velocity) at the geometric discontinuities between the silencer chamber and the inlet and outlet pipes. Transmission loss predictions are compared favourably with a general three-dimensional finite element approach, offering a reduction in the computational effort. Within the gas turbine industry dissipative silencers are regularly used to reduce broadband noise within duct systems. Silencer performance is normally quantified using the insertion loss due to a plane wave incident sound field. However for larger silencers the widths of these duct systems are large enough to allow higher order modes to propagate over much of the frequency range of interest (31-8kHz octave bands), which may have a significant effect upon silencer performance that is not normally accounted for. The performance of dissipative parallel baffle and bar silencers in the presence of different types of incident sound field is investigated through a numerical model which uses the finite element method and point collocation to predict insertion loss. Excitation of the silencer using an equal modal energy density sound field is found to have a large effect upon performance compared to plane wave excitation. Increases to insertion loss are predicted at high frequencies for the geometries modelled and it is found that plane wave predictions do not necessarily give the worst case performance. Williams, PT, Kirby, R, Malecki, C & Hill, J 2013, 'Measurement of the bulk acoustic properties of rock wool at high Temperatures', 42nd International Congress and Exposition on Noise Control Engineering 2013, INTER-NOISE 2013: Noise Control for Quality of Life, International Congress and Exposition on Noise Control Engineering, Innsbruck, Austria, pp. 4188-4197. The acoustic absorption characteristics of fibrous materials have been the subject of many studies at room temperature and it is well known that the bulk acoustic properties may be measured using an impedance tube and expressed in the form of Delany and Bazley coefficients. However, many applications of fibrous materials take place at high temperatures, for example in gas turbines, and here little work has been done to investigate the effect of temperature on the bulk acoustic properties. Accordingly, the high temperature performance of rock wool is investigated here using a regular impedance tube modified to produce stable and uniform internal temperatures between 20°C and 500°C. Delany and Bazley coefficients are then derived from these measurements and it is shown that these coefficients do not depend on temperature provided the temperature dependence of the flow resistivity and properties of air are accounted for. Therefore, it is shown that the bulk acoustic properties of rock wool can be characterised using Delany and Bazley's empirical formulae obtained at low temperatures and then extrapolated to higher temperatures using a straightforward modification of the material flow resistivity. Copyright© (2013) by Austrian Noise Abatement Association (OAL). In gas turbine exhaust systems dissipative silencers are normally used to attenuate broadband noise emanating from the turbine. These silencers often consist of parallel baffles packed with fibrous porous materials such as basalt wool. In gas turbine exhausts, temperatures can reach up to 700 °C and this can significantly affect silencer performance. Accordingly, the influence of elevated temperatures on silencer insertion loss is investigated here for one third octave bands up to a frequency of 8 kHz. Values for silencer insertion loss are generated using a theoretical model based on the finite element method and point collocation. Predictions draw on experimental data obtained for the bulk acoustic properties of basalt wool at temperatures of up to 500 °C. It is shown here that temperature significantly affects silencer performance and this effect should be compensated for when attempting to quantify silencer performance in high temperature applications. A new laboratory facility for studying of the acoustic intensity field in a round 6m long, 150mm diameter pipe has been developed. It enables to control carefully the boundary conditions at the both ends, positions and the orientation of the acoustics sensors. It has been used to measure the variation of the acoustic intensity near the open end of the pipe with a triaxial intensity probe supplied by Microflown. The measured data have been used to validate a new efficient model based on the normal model decomposition and finite element methods. It is shown that even in the plane wave regime the acoustic intensity distribution near the pipe end is very complex and that the measured intensity vector sensitive to the radial and longitudinal position of the probe. It is demonstrated that a very small variation in the position of the intensity probe can result in a very large change in the intensity vector that is difficult to predict. The results of this work have a strong implication on the design of acoustic intensity sensors that have been developed to characterise the boundary conditions in a pipe. In this work, a multidimensional analytical model is presented for the sound attenuation assessment of axisymmetric catalytic converters. Bessel functions are considered for the circular ducts, while spherical Hankel and Legendre functions are used for the expansion/contraction tapered ducts. Two alternative modelling techniques are implemented and compared for the monolith: (1) An equivalent bulk reacting absorbent material, in which the wave propagation is determined by the effective complex and frequency dependent density and speed of sound; (2) A coupling approach between both sides of the ceramic monolith in which a plane wave transfer matrix is considered, therefore retaining only onedimensional propagation within the capillary ducts. Benchmarking of the developed analytical techniques with finite element calculations shows good agreement. The influence of several parameters on the sound attenuation of the catalyst is investigated. Ventilation systems normally contain large dissipative splitter silencers that are used to attenuate fan noise. Recently, numerical models have been developed that seek to predict the insertion loss of these silencers; however, there is very little experimental data available in the literature that is suitable for validating these insertion loss predictions and so questions marks still remain regarding the accuracy of the models. This issue is investigated here by comparing theory with experiment for a range of splitter silencers. Here, the insertion loss predictions are compared against experimental measurements obtained on a test rig that conforms to ISO 7235. Measurements are presented for silencers of differing geometry, although each silencer is restricted to one central splitter with two baffles lining the opposite walls of the duct. Furthermore, validation of the numerical models is based on measurements taken both with and without flow. Comparison between prediction and experiment is reported in one-third octave frequency bands up to a frequency of 8 kHz. Results indicate that the theoretical model is capable of providing accurate predictions for silencers of high percentage open area, but when the percentage open area is low significant discrepancies appear between prediction and experiment at higher frequencies. In this work the finite element method is applied to predict the acoustic behaviour of catalytic converters. Two different modelling techniques are considered and compared for the monolith: (1) First, the procedure described in previous works, in which the wave propagation in the monolithic catalytic converter is assumed to be analogous to the propagation in an equivalent fluid, characterized by its complex and frequency dependent impedance and wave number. In this case, the finite element model leads to the calculation of the three-dimensional acoustic field inside the complete catalytic converter, including the inlet/outlet ducts and the monolith. Therefore, this first approach allows the consideration of higher order modes inside all the catalyst components; (2) On the other hand, a coupling technique is applied in which the monolith is replaced by a plane wave transfer matrix, that is, only one-dimensional acoustic behaviour is allowed for the capillary ducts, while three-dimensional acoustic waves can still be present in the inlet/outlet ducts. The results provided by both approaches are compared with experimental measurements for a selected configuration, showing that the latter technique exhibits a better agreement. In addition, the effect of several parameters on the acoustic behaviour of the catalyst is investigated. The control of noise in a ventilation system requires a detailed knowledge of the acoustic characteristics of components within the system, as well as knowledge of how each component interacts with one another. Mathematically modelling such systems presents a considerable challenge not least because these systems are relatively large and often consist of complex geometries separated by relatively long duct runs. Accordingly, this article examines a hybrid numerical approach that utilises a multi-modal eigenvalue approach for long uniform duct runs, but then uses mode matching to map this solution onto a finite element based model of a complex component. Results are presented here for two cylinders placed within a rectangular duct and a dissipative splitter silencer. Transmission loss predictions are presented for plane wave and multi-modal excitation and it is noted that multi-modal excitation has a significant effect on the acoustic behaviour of the components. Furthermore, multiple cylinders are capable of generating high transmission loss values over narrow frequency bands, which makes them potentially useful for attenuating narrow band noise from ventilation fans. © 2008 by the Katholieke Universiteit Leuven Department of Mechanical Engineering All rights reserved. Pod silencers are dissipative silencers used in HVAC applications in which the absorptive material is used to line the outer wall of the duct and a central cylindrical pod is inserted to form a silencer with an annular flow passage. Pod silencers are used in a wide range of ductwork, from the relatively small to very large applications with duct diameters of the order of several metres, and so in general silencer performance is likely to be influenced by higher order mode propagation. Accordingly, a numerical mode matching technique is used here to model higher order mode propagation in a pod silencer. A comparison of predictions with those previously found assuming plane wave propagation is presented and it is demonstrated that, even for relatively small silencers, higher order modes play an important role in the performance of pod silencers. The current study considers the acoustic characteristics of partially-filled perforated dissipative circular mufflers with extended inlet/outlet. In addition to the finite element method (FEM), a two-dimensional (2-D) axisymmetric analytical approach is developed that matches the acoustic field across the discontinuities by applying the continuity conditions of the acoustic pressure and velocity. The complex characteristic impedance, wavenumber and perforation impedance are taken into account to evaluate the axial wavenumber in the absorbing fiber and in the central perforated pipe. In addition, experimental work is considered for validation purposes. Several effects regarding the extended inlet/outlet ducts and the fiber properties are presented and discussed. Dissipative silencers are widely used in ducts to attenuate broad band noise. Silencers may assume many different shapes and sizes, ranging from a relatively compact automotive exhaust silencer, to a much larger HVAC splitter silencer. To accommodate such a wide range of silencer geometries it is convenient to use numerical methods such as the finite element method, although for many silencers the use of a fully three dimensional approach may computationally be too expensive. A convenient alternative is to use a method known as point collocation which seeks to mesh only the cross-section of a silencer (assuming a uniform cross-section in the axial direction) and then numerically matches continuity conditions at discrete transverse locations over the inlet and outlet planes of the silencer. This paper examines the suitability of using point collocation to compute the transmission loss for a wide range of silencer configurations. The robustness and flexibility of the method is reviewed with a view to adopting this technique as a single, efficient, design tool for studying dissipative silencers of any cross-sectional shape and size. The finite element method is applied to the modelling of noise breakout from air-conditioning ducts which are rectangular in cross-section and lined with a bulk reacting sound absorbent. Mean flow in the central airway is also included in the model. An eigenvalue formulation is employed to couple the acoustic pressure field inside the duct to the displacement of the duct walls. Numerical predictions for the axial wavenumbers of the first "structural" and "acoustic" modes are examined both with and without mean flow. Kirby, R & Cummings, A 1996, 'The acoustic impedance of perforated plates subjected to grazing flow and backed by porous media', INTER-NOISE 96 - THE 1996 INTERNATIONAL CONGRESS ON NOISE CONTROL ENGINEERING, 25TH ANNIVERSARY CONGRESS - LIVERPOOL, PROCEEDINGS, BOOKS 1-6, 25th International Congress on Noise Control Engineering (Inter-Noise 96) - Noise control: The Next 25 Years, INST ACOUSTICS, LIVERPOOL, ENGLAND, pp. 967-970. Kirby, R & Cummings, A 1996, 'Wall porosity effects on wave propagation in catalytic converter elements', INTER-NOISE 96 - THE 1996 INTERNATIONAL CONGRESS ON NOISE CONTROL ENGINEERING, 25TH ANNIVERSARY CONGRESS - LIVERPOOL, PROCEEDINGS, BOOKS 1-6, 25th International Congress on Noise Control Engineering (Inter-Noise 96) - Noise control: The Next 25 Years, INST ACOUSTICS, LIVERPOOL, ENGLAND, pp. 903-906. Peat, KS & Kirby, R 1996, 'Temperature gradient effects upon the acoustic performance of catalytic converters', INTER-NOISE 96 - THE 1996 INTERNATIONAL CONGRESS ON NOISE CONTROL ENGINEERING, 25TH ANNIVERSARY CONGRESS - LIVERPOOL, PROCEEDINGS, BOOKS 1-6, 25th International Congress on Noise Control Engineering (Inter-Noise 96) - Noise control: The Next 25 Years, INST ACOUSTICS, LIVERPOOL, ENGLAND, pp. 1003-1006.